Stay in one of these luxurious villas in Grenada for your honeymoon, and you can expect a romantic vacation in completely private and secluded bliss. If there ever was a more appropriate time to rent out a peaceful villa, it’s your honeymoon. Depending on the specific accommodation, you could potentially enjoy direct access to the beach, freshwater pools, beach bars, gazebos and even full kitchen and housekeeping staff, so the two of you need not lift a single finger. The breathtaking ocean views combined with the countless upscale amenities that come with these private villas is a surefire formula for intimacy. Book your accommodations at WhereToStay.com, and let us do most of the legwork for you after. Our superior concierge service will help you take care of the minute little details, like airport transfers, car rentals, restaurant reservations and more, so you can celebrate your newfound union without the added stress of planning for travel! When it comes to the most romantic Caribbean islands, Grenada can easily rank at the top tier. It has a great combination of secluded beaches, like Grooms Beach, water activities, like sailing and snorkeling, adventurous hikes at the Grand Etang National Park and short ferry rides to nearby islands. The waters are sparkling clear, the beaches are sandy white, and the ocean is teeming with beautiful, exotic marine life to observe. Most importantly, don’t forget to block out some lounge time in your itinerary. 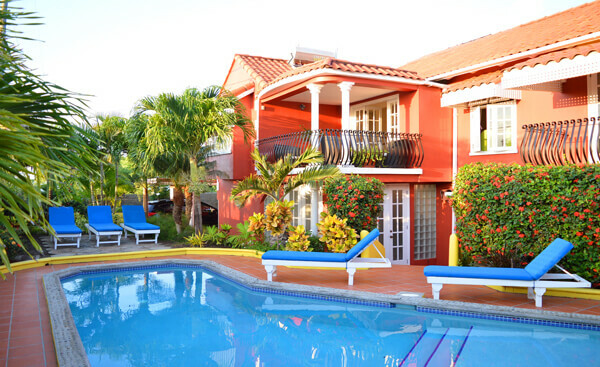 Grenada’s upscale villas are made to be lived in, so spend some quality time with one another sunbathing by the pool or cozying up next to a bonfire on the beach! For questions regarding any of our represented accommodations, feel free to contact us at and we’ll help you find the perfect honeymoon villa for your getaway.